Sought after Jamestown Condo. First floor 2 bedroom home, perfect for investment or first time home buyer. Master bedroom has spacious walk-in closet. Tile floor has been replaced in the bathroom. Kitchen appliances and cabinets have been updated. Screened in porch adds extra space for entertaining and enjoying the Florida lifestyle. Pool and laundry are close by. 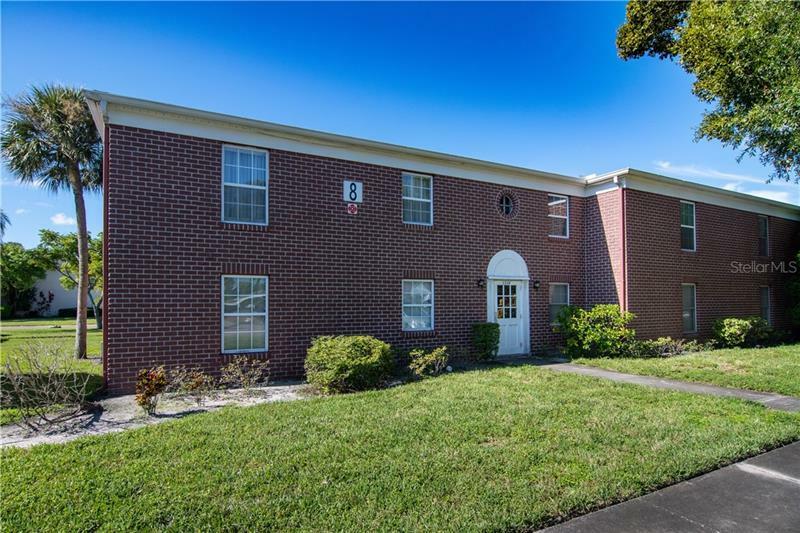 Great convenient location near Publix, Target, restaurants, and easy commute to Tampa or downtown St. Petersburg. The community offers access to 2 pools and tennis court. There is an assigned parking space for unit with additional guest parking. Buyer to verify all square footage. Condo is located in Building 8.